These passes are valued at $100 each but you can win some of your very own through our awesome promotion. All you need to do is Goggle It! That’s right! 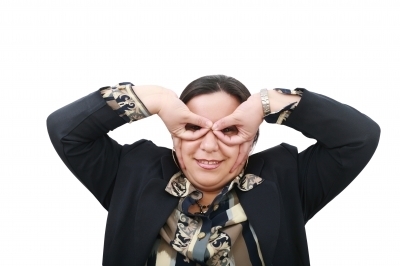 Send us a picture of yourself wearing hand goggles and you’re automatically entered to win. What are hand goggles, you say? Well, simply take both of your index/pointer fingers and connect them with your thumbs to make circles. Then flip those bad boys upside down over your eyes and… TADA! Hand Goggles! The next best thing to aviator eyewear! Once you’ve practiced a bit and chosen your favorite photo, send it to us at [email protected] for review. As soon as it’s good to go, we’ll post it on our Facebook page. Winners will be chosen based on a combination of creativity, hilariousness and Facebook “likes” so be sure to “like” our page at facebook.com/stantonstreet to stay in the loop. We must receive all entries by Monday, October 15th! We know you can get creative and downright funny with those submissions. Let’s see what you’ve got! We will have five winners in total – four people will win a pair of tickets and one grand prize winner will get the Family Four Pack! Will it be you? We shall see. Blue Skies and good luck! I was looking at your facebook page and couldnt find any pictures for this contest. Has no one entered or have you not posted them yet? I SENT IN MY ENTRY WITH THIS SAME EMAIL BUT I DONT KNOW WHERE TO FIND IT SO THAT I CAN TELL FRIENDS & RELATIVES TO LIKE IT. DID I DO IT WRONG? Hi Mariah! We’ll post the pictures for voting on Monday so you still have time to turn them in to us. Thanks! They’ll be posted early next week, Andy! Thanks for the submission! Hi Irene! You can find them on our Facebook page at https://www.facebook.com/StantonStreet Thanks!